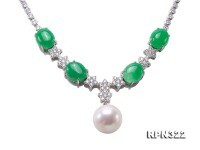 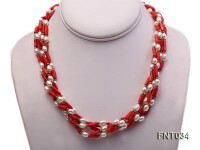 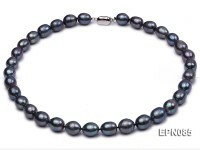 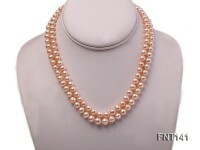 This is a Edison pearl necklace with top quality and big size. 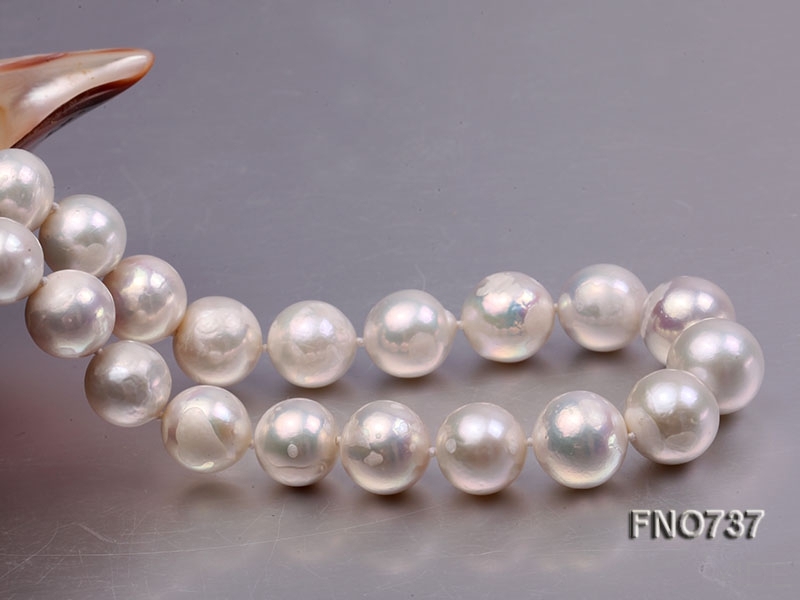 “Edison pearl,” a large-sized nucleated freshwater pearl, was created out of a grand ambition. 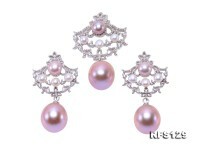 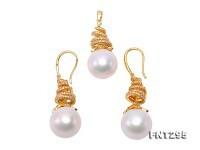 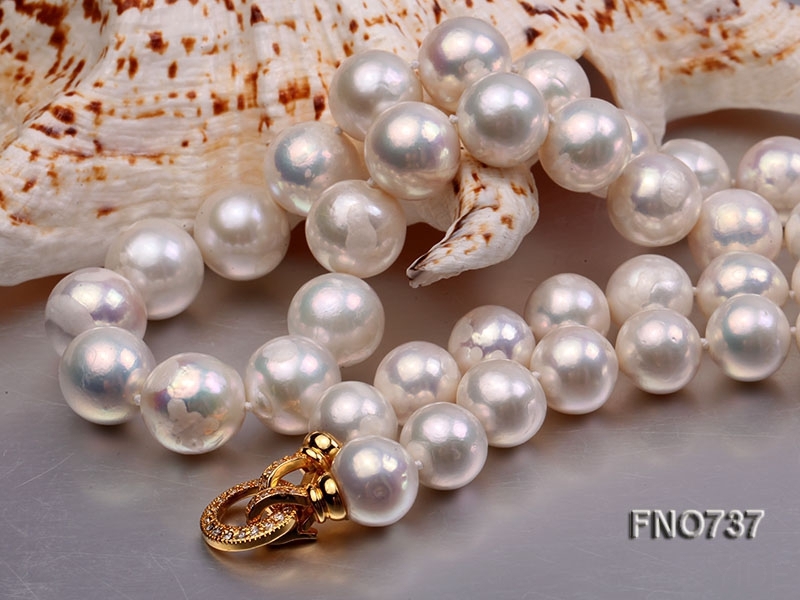 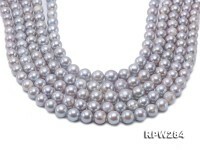 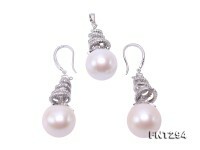 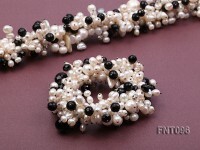 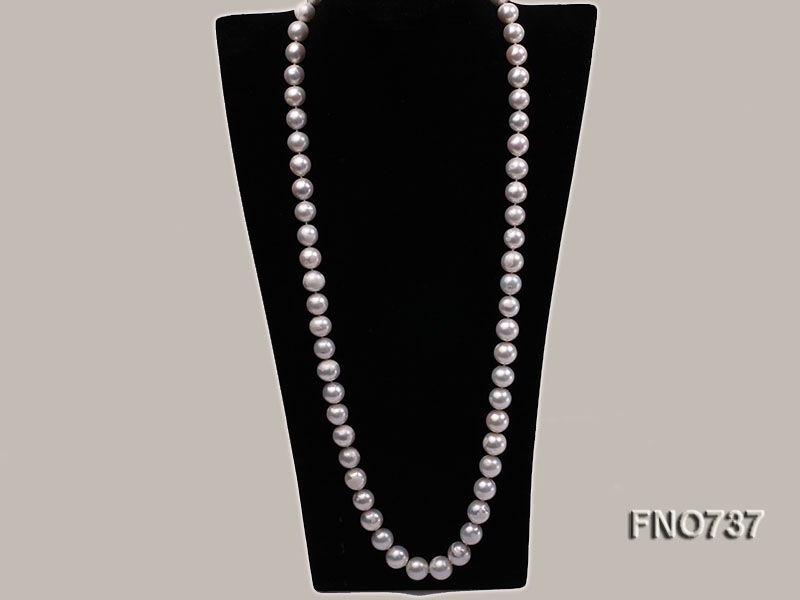 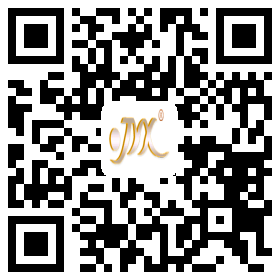 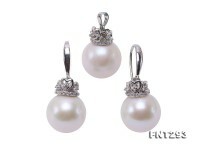 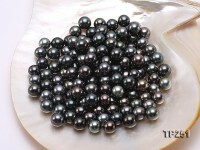 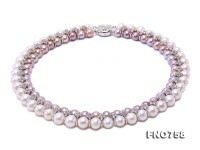 These pearls measured 13-14mm in diameter are in perfect round shape, pure white color good luster and smooth surface. 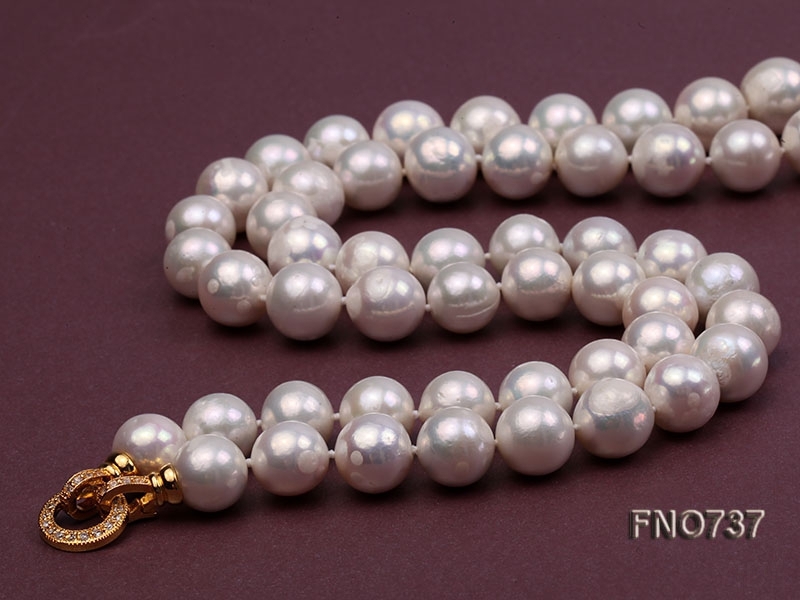 The necklace is 34 inches in length and ended with a white gilt clasp. 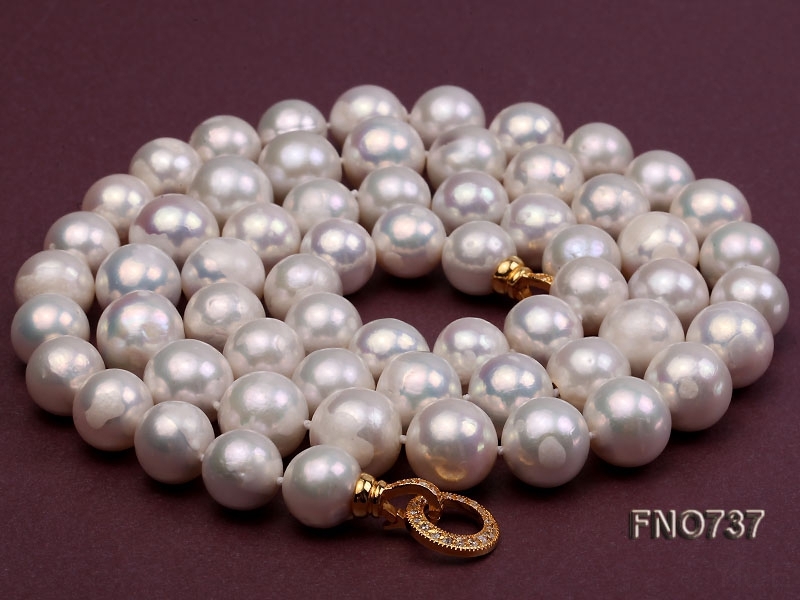 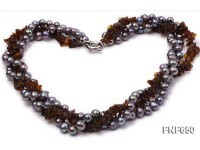 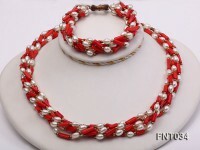 We hand knotted between each pearls for safety and beauty with double silk threads. 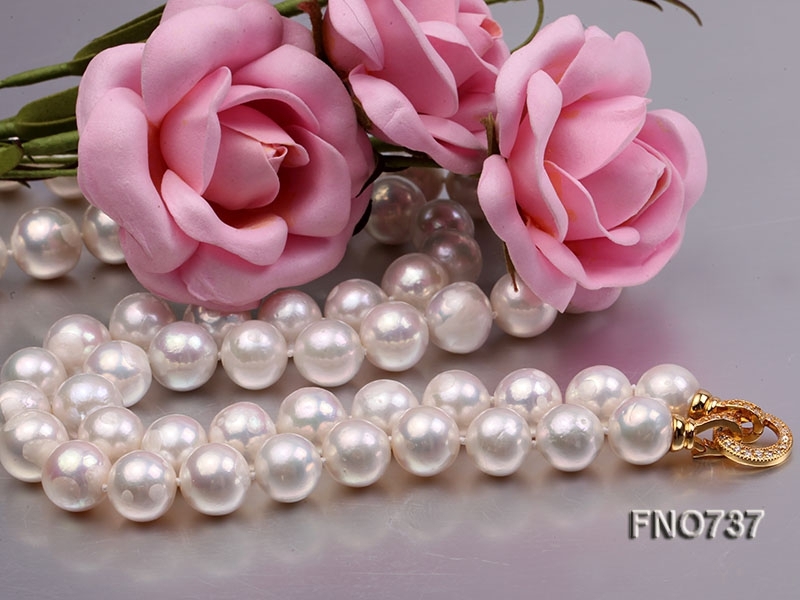 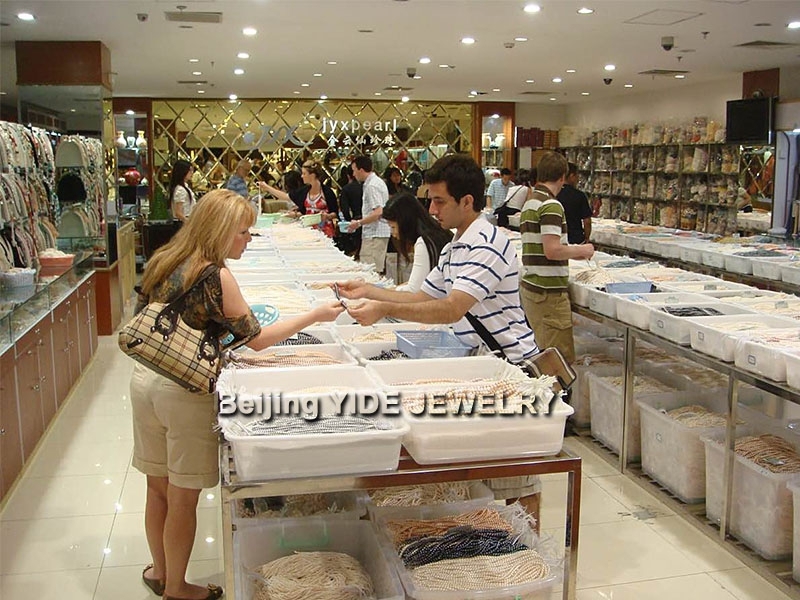 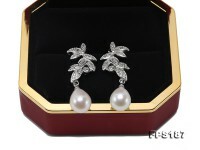 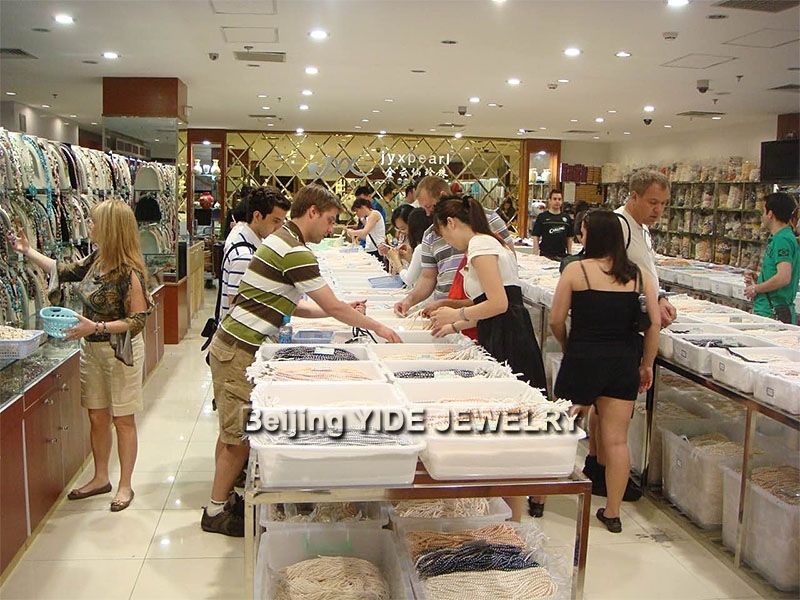 All the pearls are AAA quality, with superb luster, our highest grade available. 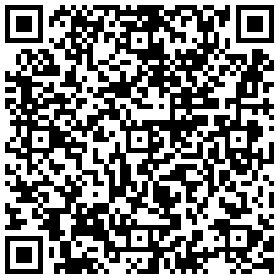 You will be right to choose this one.